Financial reporting and analysis create success and well-being for all companies and organizations. The ethics of a company or organization come into play for proper reporting and analysis. Within the healthcare industry, financial reporting and analysis should come with ethics. Lives are at stake each day, no matter what the financial state of the organization. The future of the healthcare industry is unsure and ethics will play an important role in it. Let’s talk about five ethical concerns in financial reporting and analysis within healthcare. The most common ethical concern within reporting and analysis is “faking the numbers“. If poor documentation is being kept about the financial outlook of an organization, a reporter may feel pressure to come up with an estimate. An estimate that isn’t valid. The trouble with estimates is that they can be incorrect. Incorrect estimates in reporting are fraudulent numbers that can create legal concerns. Beyond these consequences, the healthcare industry relies on investors for important purchases such as hospital campuses, new and improved treatments, etc. With fake numbers, investors may look to something that isn’t actually there. Let’s put this into perspective. Faking numbers in the accounting segment of an organization is not only fraudulent but wrong. An organization who fails to report is an organization that will soon not be able to provide care for suffering patients – costing you lives in the end. This term includes using organizational funds for things other than the organization. In the healthcare industry, this could include many things. For example, a hospital nurse could be using hospital supplies to take home to care for a loved one. As ethical as this may sound, it is damaging to the financial reporting side of the organization. An executive within the company could also be taking funds and embezzling for his or her own gain. Without noticing, this creates an intricate web of missing funds that can mean disaster for the organization. From an ethical standpoint, any supplies, money, or other items taken from the industry is stealing from the patients that need it most. This means creating a downward spiral of events from a monetary loss to ultimate organizational failure. Although it is an issue to overly disclose, it is also an issue to disclose too little. If a loss happens, they may choose to hide this loss from potential investors to create a facade of success. This type of disclosure is unlawful and dangerous. An organization that is deceitful in its disclosure may lose more than one investor at a time. This creates less funding for the organization and an almost stat loss of care to patients. If an organization is honest and ethical about their loss, they may lose an investor. But, they may be able to keep the investors they currently have, putting out a rapid fire in the end. It is important for financial representatives to keep the organization’s information under wraps. Yet, certain information that could damage the relationship with an investor or lead to an event should be disclosed. Another ethical concern for the healthcare industry lies in the organization becoming too focused on the executive. For example, an executive within an organization that is given too much power may use this power to pressure the financial reporting and analysis team. From accountants to billing specialist, the team may feel as if they need to fake numbers or not disclose certain information due to the ideation of the executive. These executives are then free to spend fake money on purchases outside of the organization and to gain investors to create a rise in their income and power. Within the healthcare industry, organizations should remain focused on patient care, instead of catering to their executives. Although leadership is important, too much power comes with too much responsibility, especially with something so sensitive. Every industry must have a proper chain of command in order to provide the best financial reporting and analysis. Organizations within the healthcare industry should strive to have command chains that are effective and highly trained. If an employee notices a problem within the organization’s reporting, it should be reported and follow this chain to ensure something is done. Within a chain of command, financial reporting and analysis issues can go unnoticed, creating further damage to the organization’s assets. Furthermore, an enterprise without a chain of command creates hardships for the patients who wish to report. It doesn’t always have to be an employee that reports a potential situation. It could very well be a patient in your care. Within the healthcare industry, financial reporting and analysis are important. It is crucial to remain compliant in your business decisions for everyone involved. Ethics is a no-brainer for most people. Most humans follow some form of ethical code throughout their lives. In healthcare, it is very important to stay true to this ethical code. Patients that the health care industry serves should be able to rely on us for ethical care. It doesn’t matter what your organization is going through. 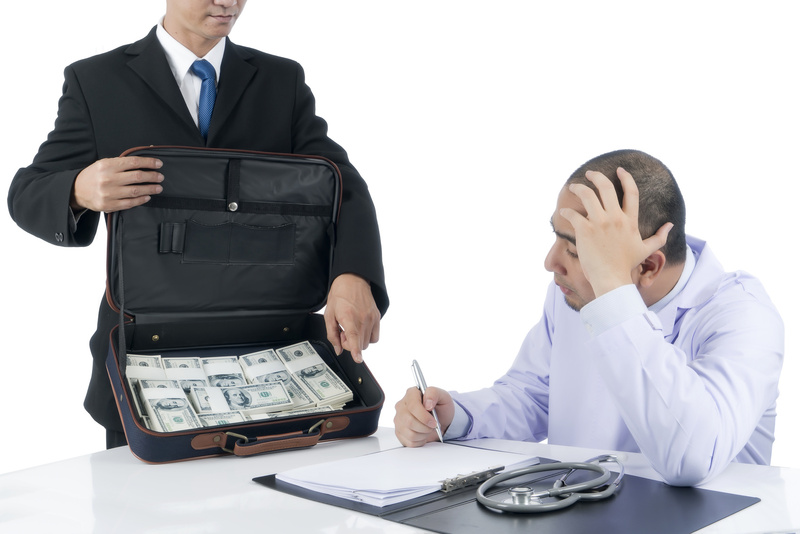 Although the healthcare industry must rely on cash flow, ethics must remain a factor. After all, the only reason this industry exists is due to the patient. Patient care should trump assets.